Taxpaying Americans expect certain protections when they are injured and cannot work, or reach a certain age. No person should be caught out in the cold when their life takes a turn for the worst which is why we have agencies like the Social Security Administration (SSA). 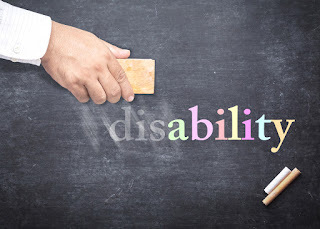 Aside from Social Security retirement benefits, the administration has many programs for people who are disabled, such as Supplemental Security Income (SSI) and Social Security Disability Insurance (SSDI). Right now, over a million Americans are desperately awaiting aid from the SSA. Without assistance, individuals are at risk of severe consequences. Vulnerable people must be taken care of; they should not have to perish waiting for support. Unfortunately, that seems to be happening more often than you might think. Just over a week ago, The Washington Post published alarming findings regarding the Social Security disability backlog. Some people are waiting 596 days to receive a judge's disposition on obtaining benefits, Medicare, or Medicaid. In fact, the report showed that 10,000 people died waiting for a judge's decision. In the United States, there are 1,600 Social Security administrative law judges charged with deciding the fate of over a million-people hoping to receive disability benefits. Given that the backlog continues to grow, the wait time for applicants only becomes lengthier. In 2012, the average wait time was 353 days, which seems long but paled in comparison to 2016. Americans shouldn't have to wait nearly two years to receive a judge's decision on benefits. So many things can go wrong during such a period, both physically and financially. The press release points out that SSA’s administrative budget has been cut by almost $460 million. If your application for SSDI was denied or you are applying for the first time, please contact the Driscoll Law Corporation. We can assist you in working through the process to ensure that you get the help you need in a timely fashion.